One of the fundamentals of SEO is URL structure and it’s hard to believe how often it’s overlooked. Sometimes I like to get back to the basics when it comes to search engine optimization and re-double my efforts on the URL structure of a website I am working on. I do this because it saves me time. The time I would have to spend restructuring URL’s that will lead to a user to a 404-page error or time setting up 301-redirects. Also, the URL structure is a factor in search engines rankings, so why wouldn’t you want to take the time to develop a good strategy for your URL’s. 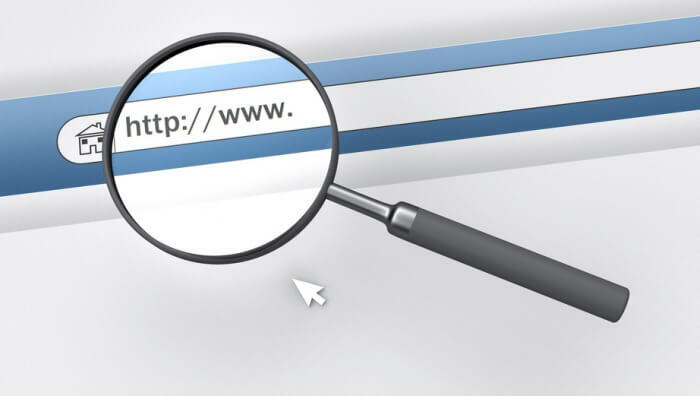 A good URL structure not only lets the user know what your page is about, it also helps rank your site. We’ve all seen it, after searching google for whatever reason, you find that article you were looking for. Within that article, you see a link to another page that has a ridiculously long URL with a bunch of numbers and letters and gives no indication what the content of that page. I usually stay away from URLs like that. Not that it would be harmful, (sometimes it can be) but it gives me no indication of what the page is about. My rule of thumb, which is considered standard practices in SEO, is that the meta title and the URL contain the focus keyword for that page. Why is this a good rule of thumb you ask? 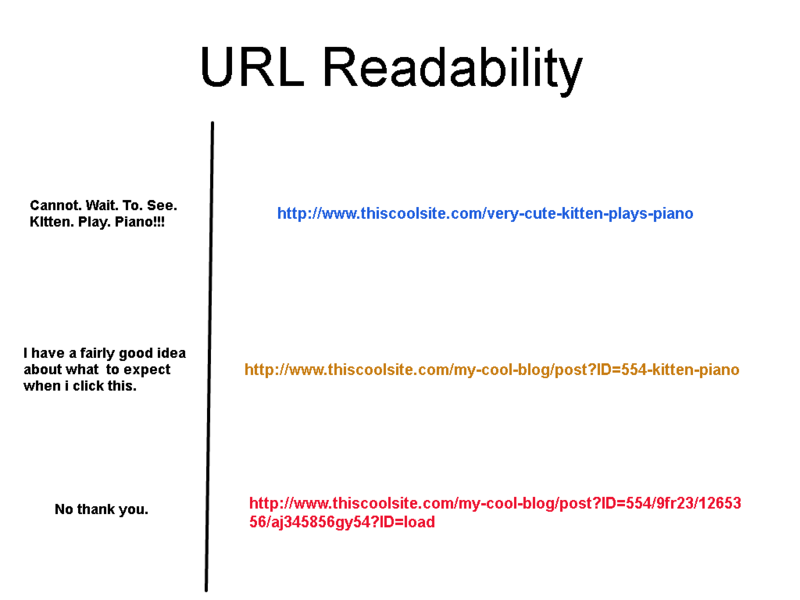 The more readable URL by humans, the better for search engines. Although Google’s search engine algorithm is extremely complex and always changing, the more you can show search engines what the page is about, the better you will rank. Although the meta title and description should give you a clear indication of what the page is about, sometimes you’ll come across a link on a blog or article and this is where URL structure becomes increasingly important. The better idea the use has about the page they will encounter when they click that link, the more likely they will be to go there. That is what we really want, right? Traffic to our website? I sure hope so. Here, I am letting the reader know that if they click the link, I’m going to show them a page about affordable dental implants. …learn more about the benefits of dental implants. If you hover the anchor text, in the bottom left of the browser window, it will display the URL suggesting that the reader will be brought to a page about affordable dental implants. My focus keyword for that page would be affordable dental implants. #3 Long URLs vs. Short URLs: Fight! What? Who would have a URL like that? You’d be surprised at some URL’s out there in cyberspace (yeah, I said cyberspace). Although that URL is not real, I have seen many examples of long URL’s that would probably make my computer implode if clicked on them. I like to keep them to no more than 60 characters in my URL’s. Although having a longer URL wouldn’t necessarily impact your rankings negatively, shorter ones tend to be better with user experience. I also tend to stay away from stop words in my URL structure. This helps with keeping the URL short and focused. Stop words include: and, or, but, of, the, and a, among others. Again, it is not critical to exclude stop words from your URL, but makes for better structure and they are easier to read, in my opinion. Best judgment should be used whether to include any stop words in your URL structure. Any Monty Python fans out there? No? Ok, just curious. Keyword stuffing is frowned upon by search engines like Google. Keyword stuffing can also occur in your content on your pages. I like to keep my ratio at around 2.5% keyword density to body text word count. 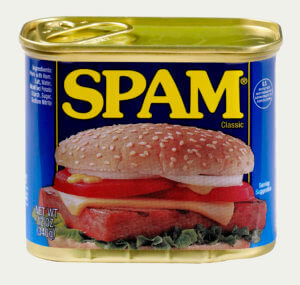 Not only does it create repetition, it can make your site look spammy if you’re trying to stuff too many focused keywords onto your page. I like to use the focus keyword one time in my URL for any given page. I do this because I won’t incur any ranking penalties and it just plain looks good. So yes, URL structure really does matter. The above aforementioned is a good starting point in my opinion. There are also other standards to consider when structuring URL’s, but this will get you headed in the right direction. Just remember, good judgment and a little research can go a long way. Until next time. Yes, it’s an actual domain and it actually goes to a live site. I personally think the site could use some work, but who am I to judge.